When did you have a cup of Lao coffee directly from the coffee farmers? Jhai Coffeehouse, a philanthropic coffee roaster and café, located in the southern community of Paksong, Laos; is trying to change the way you as a consumer drink your morning cup, while every single kip is given back to the community of coffee farmers by addressing the public health needs of Lao families. 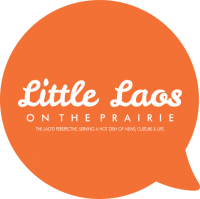 Janelle Kaczmarzewski of Jhai Coffeehouse, spoke with LLOTP on keeping a sustainable social business in Laos and what Jhai Coffeehouse has stirring in their cup of coffee this year. Aside from what’s on the website, tell us a little bit about yourself. Why is this project important to you and to the people in Laos? Personally, this project is important to me for many reasons. Because I am an American AND I am aware of the ruthless, secretive bombing that went on in Laos. My heart goes out to the families that were and continue to be affected by what the United States did during the Vietnam war. I am always blown away by the heartfelt, welcoming smiles that I get from complete strangers while in Laos. They have taught me a lot about forgiveness. This is not what I planned on doing with my life. I moved to Thailand immediately after I finished my degree in Evolutionary Biology and Ecology at the University of North Carolina in Asheville. I am completely at home in nature and far more comfortable with animals than I am with people. I have since learned that as humans, it is our duty to lean into the discomfort. We have to break out of our comfort zones if we are to learn everything there is to learn in this lifetime. My challenge in life is to foster deeper connections with human beings and to give to my own species, selflessly. Perhaps one day, I’ll find the balance to bridge the gap between what I am so drawn to, nature and animals, with my life’s work of helping and connecting with people. What is it about Laos that drives your interest in helping the coffee farmer community in Paksong? A dream brought us here. One evening before we met, Tyson fell asleep while overlooking the Mekong in Luang Prabang. In his dream, he completely envisioned this entire project where he was helping a coffee growing community by importing their coffee to Seattle, his home. He wrote the entire thing down the moment he awoke. He then set out on a motorbike to find the place he had so vividly seen in his mind. That was four years ago, when he started the “one bag, one book” model of supplying text books to children for every bag of coffee sold. We have since evolved the goals of our organization to better suit the needs we hear and see that are greater for the people of this region. Water and sanitation needs are clearly more of a priority for a culture of people that don’t traditionally gain their education from books. We couldn’t measure the impact of books, but we can measure the impact of health. Dao Coffee and other Lao coffee brands have made their mark in jump starting the Lao coffee industry internationally. What makes coffee beans from the Bolavan Plateau different and unique? To our knowledge, the Jhai Coffee Farmers Cooperative (JCFC) is the only completely Lao owned and managed cooperative on the Bolaven Plateau. They produce around 10 containers loads of coffee a year and 3-4 of which is sold to Dao. The difference between our coffee and Dao isn’t really in the beans, its in the mission. All Jhai profits will be invested into clean water and humanitarian projects in the local community. How are you changing the way coffee farmers think about their coffee beans and its process? Ethiopians have been producing some of the world’s best coffee because they drink coffee. Most coffee producing regions in this world, are tea drinkers. This includes Laos. By having our coffee roasted at the source, we will be able to allow our farmers to try high quality roasted coffee. In doing so, it increases the quality because we can identify which villages are producing the best beans so that they can teach the others. Additionally, allowing the community to try their own coffee creates the full circle picture and pride in the product will result. How is your project keeping it sustainable for the community? As far as our water projects, we require co-investment with each partner village. This means that they put in 15% of costs and we pay the rest. This buy-in creates pride, ownership and a desire to keep the water projects flowing. We also sign a contract with the government, the village Chief and our water contractor, which forces the water contractor to fix the pump in the first year if anything goes wrong. This gives the community an entire year to form a water board and tax the community for the upkeep of the water pump. Four years later, how has the water pumps and education initiatives impacted the local community? Our water projects have only been in the ground in one village for two years and the other village for one year. In the first village we put in a water pump, they were able to use the water to mix into cement to build a new school. The children are not dehydrated and have been able to stay in school longer as they usually had to leave during midday to fetch water. In the most recent village where we put a pump, they have unexpectedly relocated the village a few miles down the road. When we return to Laos in September, we will be moving this pump to their new village! Over the past 2 years, we’ve learned that in the non-profit world, nothing is worth doing if you can’t measure it. Since then, we’ve met with some excellent organizations in the Seattle area that have helped us plan out our Social Metrics. One of the inspiring organizations we’ve been meeting with is one called Upaya Social Ventures. They’ve helped us set up a survey to collect baseline data and the appropriate way to go about collecting the data in the beginning and all along the way (who will ask them, how will they be asked, how often, etc). Measuring impact is a huge priority for us, as well as complete transparency with all of our supporters. Where do you see Jhai Coffee going in the next 5 years? We see Jhai becoming a completely self sustaining model of philanthropy that will become an earmark for other countries around the world. Jhai will be a full scale coffee shop, roaster, tourist hub & cafe that attracts tourists, coffee enthusiasts and backpackers alike. It will also be a hub for social entrepreneurs to see our model and copy it for their own projects. We also intend to attract roasters from all around the globe who will be purchasing larger container loads from us. Our goal is to create exceptional quality coffee. How do you hope to change the way the rest of the world sees the Lao coffee industry? We hope that the rest of this world sees Lao coffee culture as something unique and unlike any other place in the world. The way that we will be different is by integrating the coffee farmers into our coffee shop and culture so that they understand their customers better. By having a place where farmers and coffee drinks mingle, we shift the relationship and paradigm because this transparency is not happening very much elsewhere. Jhai Coffee is starting a fundraising campaign, what is funding going towards? Indiegogo is crowdfunding internet platform where businesses, individuals and causes can launch projects and have the outside world back them. Our fundraising goal is $10,000, which we expect to exceed! 100% of this money will be put forth to help humanity in the form of building, launching and operating the Jhai Coffee House. What advice do you have for people in the states looking to move to Laos to pursue their passion in social business? Muhammad Yunus (Nobel Peace Prize Winner) pioneered social business and wrote the book, ‘Building Social Business.’ Before anyone embarks on a journey to create a social business, they must understand the fact that social business are 100% philanthropic and that no excess profits can go in their own pockets. A true social business serves humanity and is not a gimmick or marketing ploy to get customers.